In laymen's terms, MODx helps even regular individuals manage content on their websites simply, quickly and intuitively. 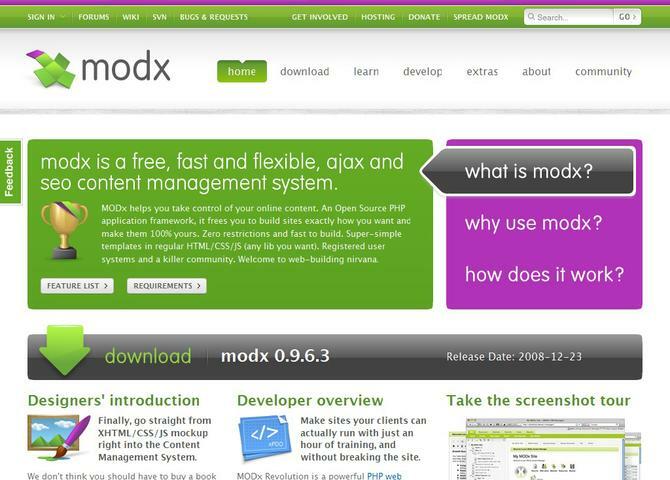 For the geek-elite, MODx is an Open Source PHP web application framework with a capable built-in Content Management System (CMS). Visit MODx PHP Application Framework. Ajax CMS. SEO CMS..